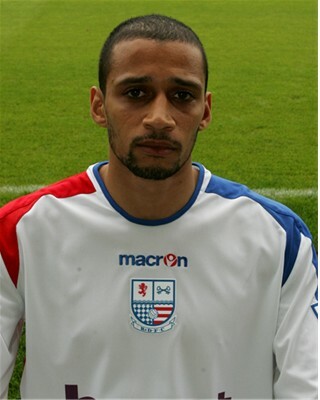 Curtis began his career at the York City Centre of Excellence before joining Sheffield United as a seventeen year old midfielder for a £15,000 fee/compensation. His footballing prowess soon saw him become a regular in the side, and at just nineteen, became the club’s youngest ever captain. Whilst with the Blades, he also made several appearances for the England Under-21 side. After over 100 appearances, he moved to Birmingham City for £1m in February 2001. Controversy reared its head just three weeks after his move, when he received a 120 hour community service sentence after a brawl with some students. In January 2003, he went to Rotherham United on loan, before signing for Peterborough United in October 2003. A £25,000 fee took him to Hull City in the summer of 2005, before joining Grimsby Town in January 2006 on a two year deal, but his love of boxing led him to announce his retirement from football at the end of the season, to concentrate on Boxing. He was persuaded out of retirement by Chairman Keith Cousins after he had been temporarily suspended by the British Board of Boxing Control, and he joined Diamonds on 24 November 2006 but was allowed to leave again on 8 January 2007 after his licence was returned. He decided to re-sign on 1 March, after an agreement that he could combine both sports. At the end of the season, he signed a two year contract until the end of the 2008 / 09 season. At the start of the 2008/2009 season, he was named as Diamonds Team Captain, but on 5th January 2009 he left the club to join Mansfield Town having appeared in 83 games for the Diamonds. 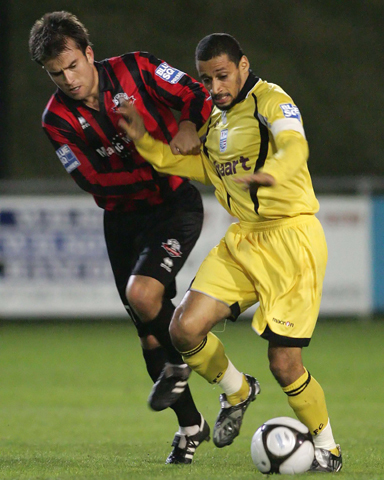 He was released by Mansfield at the end of the 2008/2009 season and joined Harrogate Town of the Conference North on 18 June 2009. He was released from his contract by mutual consent on 25 February 2010 and joined Northern Premier (Unibond) League Division One South side Sheffield FC. He stepped up to join Conference North side Eastwood Town on 7 June 2011, but never made an appearance for them, choosing to help out on the coaching side at Lincoln City during the season, while concentrating on his boxing. On 2 May 2012, Curtis was appointed manager of NPL Division One South side Sheffield FC. Out of football, Curtis continued his boxing career, winning the English light-welterweight title on 28 September 2012. On 28 December 2012, Curtis resigned from his post as manager after finding it increasingly difficult to combine both boxing and football management. Despite his boxing commmitments however, he was appointed Assistant Manager to David Holdsworth at NPL Division One South side Goole AFC on 14 October 2013. After Holdsworth stepped down as manager on 27 January 2014, he was appointed manager on the same day. Curtis achieved his dream of becoming British Light Welterweight Champion at Hull Ice Arena on 22 February 2014, beating Darren Hamilton on a split decision, and then immediately announced his retirement from boxing. The victory meant he finished his boxing career on 22 wins and 6 defeats. He returned to Football Management with Hull United in January 2015, moving on to Bridlington Town in September 2016, where he stayed for two years before leaving in September 2018. His Wikipedia page is here.